Here’s a little secret I learned from a Facebook feed that I think is worth sharing! I drink warm water or green tea with lemon/lime juice most mornings. I now take a few minutes every so often and prepare the juice ahead of time. Such a time saver! 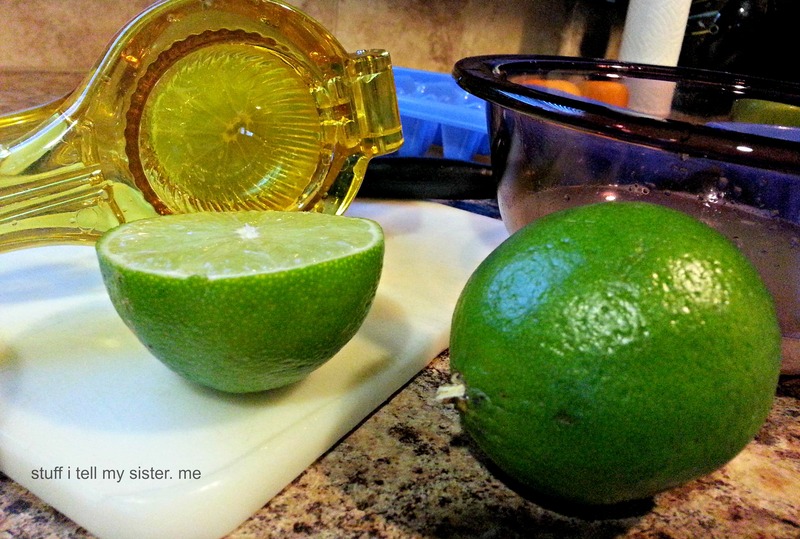 I simply roll the room temperature limes or lemons, slice in half, squeeze out every drop, and then pour into ice trays. Next I place them in the freezer and then pop them out once frozen. 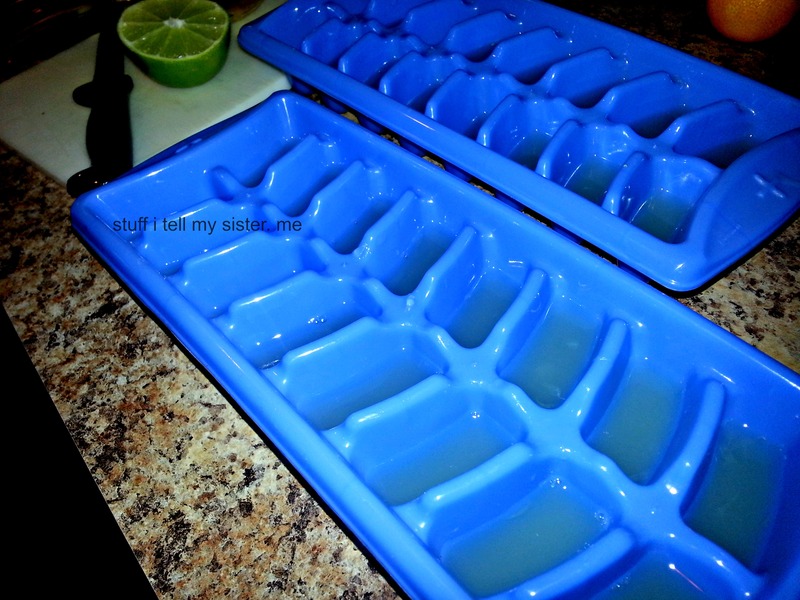 Store the juice cubes in a freezer bag or container. Of course, these are also handy to drop into iced tea. Talk about a delicious and healthy punch of Vitamin C! Start by making a roux ~ melt the butter and add the flour in your favorite large soup pan. It will soon look like sugar cookie dough. (It is supposed to…I called and asked!) Gradually add the chicken broth and cream using a whisk. Add wild rice and seasoning package, bring to boil, stirring. Reduce heat and add shredded chicken and your favorite veggies. I added celery, corn and carrots. (my sister pre-cooked her veggies, I didn’t) Cover and allow it simmer. I went by the time stated on the rice box. As it cooks, it thickens, so you may want to add water before serving. This is delicious and makes a bunch. AND…it freezes well. Use your own creativity and enjoy the soup! Great for a brrrrr day! This entry was posted in Food, recipe, Winter and tagged Chicken and Wild Rice Soup, lemon water, Lime Ice Cubes, lime water, soup. Bookmark the permalink. Great idea about the limes! So worth the time and effort! I’ve got a lung infection now, I think that soup might just be what the Dr. ordered. It looks delicious. Thanks for sharing it. Yum – set a place at the table for me! Come on! Diana will be here as well. There’s plenty! 🙂 Soup party! We live on soups in the winter and needed some new ones to try; will definitely be using this one, as well as freezing lemon and lime juice. Thanks! We do too, Christi! I’ve got a great pasta fagioli I can send you if you don’t already have one. (similar to Olive Garden’s) So easy, makes a lot and it freezes well. We finished ours off tonite. 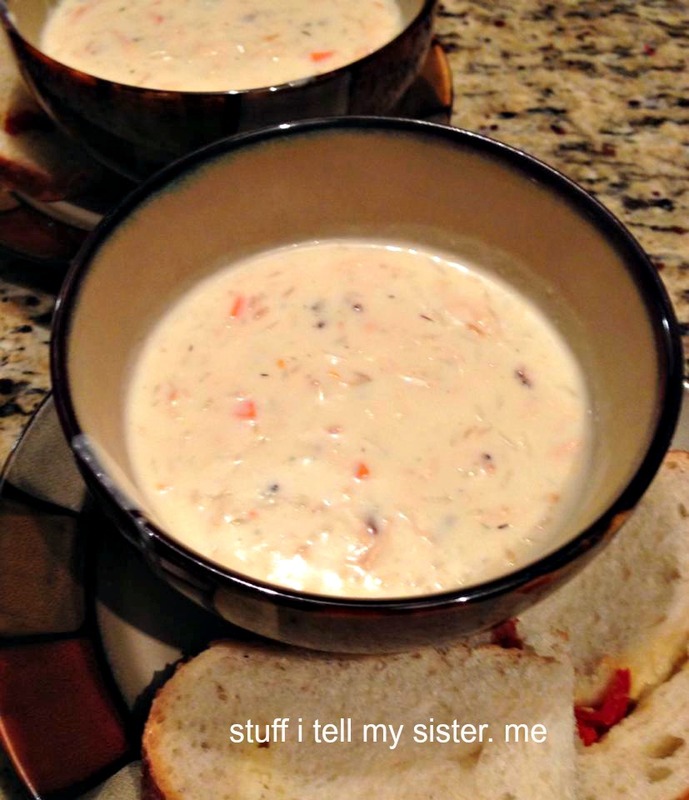 Enjoy Renae’s recipe. We sure did! Well I hadn’t either until my Sis sent me a pic. Made by Land O Lakes. 😉 Hope you guys are well! We are great! That’s got to be the best thing EVER!!! !